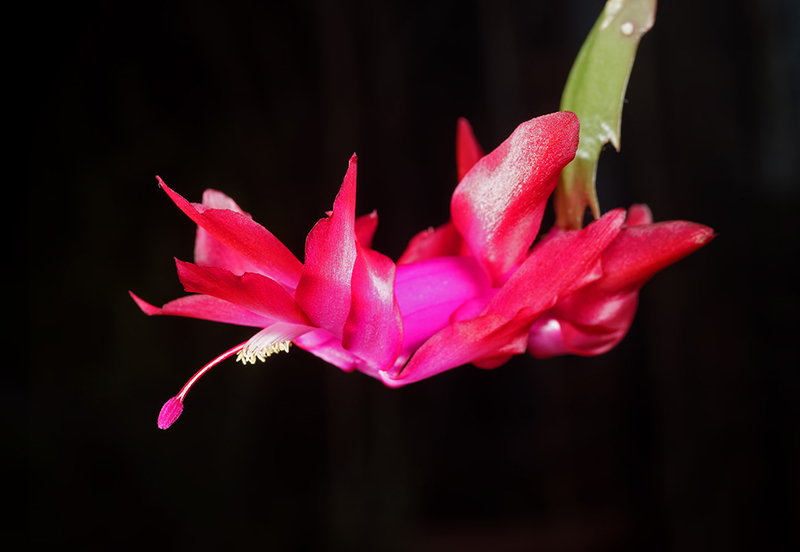 There was not a wide choice of flowers available to me in December but some of our Christmas cactus (Schlumbergera hybrid) offer colour and interesting shape. The glossy petals and sepals offer highlight issues. Sony A7R (manual mode), Leitz Wetzlar 60mm Elmarit at 1/160 at f11, ISO 320, triple Nissin Air 1 TTL RC flash, handheld. So, this was a first try of a setup with a rarely-used camera, a very rarely used lens and a new setup of three flash guns, only two of which were used before, and not very often. I could see that I can work with this in much the same way as with my very familiar m4/3 hardware.